Life feels great until it doesn’t. Boy oh boy doesn’t that hold true. Walking down the street of my sweet little Peruvian neighbourhood, hand in hand with my husband, on route to meet our friends, the sun is shining, the rest of the day is free — that’s a pretty picture to paint. I’ve been thinking a lot about this over the last few weeks. I have found myself in a very comfortable and pleasant situation overseas this year. I am careful, however, to come to that conclusion quickly as so much can change in the matter of a few weeks or months. But for right now I am happy. Truly, simply happy. And that hasn’t happened in a very very long time. But is that because my environment has set me up to feel like that? The funny thing dealing with grief however, is that it’s always there lurking in the shadows. You can’t escape it, not really, not for that long. I have been running around blissfully pushing my surfacing sadness away in the hopes of not spoiling this new mood. Gratitude through the roof. Content in my surroundings. It’s pretty easy to be happy when everything is going well around you. Connor happened to come up in my dreams early last week. And if you’ve experienced a loss of a loved one before, you know that these are some of the most precious gifts that this new life you’re living can offer. Maybe dreaming of Connor it is a pigment of my imagination, maybe it’s my brain creating Con in my mind, or maybe it’s some form of glimpse into an alternate universe. The interesting thing is, we can’t know for certain. And regardless of if it’s real or made up, these precious times are the only times I get to see my brother. And because it’s so rare they are some of my most cherished times. It kind of reminds me of the movie The Time Traveler’s Wife. I know, tear jerker central! For those of you who haven’t seen this movie, the wife never knew when her husband would be disappearing or when he would be reappearing due to the time travel. Every moment was precious and nothing was taken for granted. The most important thing in the world was to just soak in as much as you can of that person with whatever time you were given. You’re just holding on to a simple truth that your loved one is somehow standing there in front of you and you don’t know for how long. You don’t really care how, you don’t really wonder if it’s real or not, you just see them in front of you and that’s good enough. All I know is that time stands still for those sweet, simple moments; it could only be a hug, or an “entire dream hang out” and regardless of how small the gesture or interaction can be, that image and feeling lingers even in the first moments you open your eyes the next morning. You can sense they were there. Needless to say Con has been greatly present in my day to day for this past week. Because of the dreams, he was always lingering on my brain. I have been so pleased and grateful with my currently situation in Lima, Peru but I could still feel the sadness and the energy wanting to get out. For a week I pushed down these feelings because we play every Wednesday and Saturday for a few weeks in a row. There is literally zero time to have a breakdown or be debilitated for a day or two. I can control that, right? I felt the sadness last week. I felt the anxiety yesterday. And often for me personally, my “surrender” is due to a physical trigger which is more often than not, volleyball. Because of my anxiety I woke up feeling not so inspired and just generally scattered. Not anxious about anything in particular, just anxious. Very very anxious. Sure enough morning practice was a little more difficult to get through. It’s funny when you’re fighting so many battles on the inside, if there’s something negative happening on the outside you’re far more likely to respond in a way you wouldn’t normally. Yah, it was tough. The second practice was over I surrendered to the tears and the waves of emotions. Not like I could have stopped it. Up to weights where I tried to putter around, distract myself like I have to do on many days before. But the pull was stronger today and I couldn’t keep the tears at bay. While Alicia and I were switching in and out of pull-down sets she asked me if Connor happens to come into my dreams a lot. I responded no, that it’s super precious and not so often. She replied that she couldn’t wait to see her Dad again, I lost it. As I stood there looking at my dear friends with all the hope and the longing in her eyes, it completely broke my heart. I was staring into a pair of eyes that reflected my own, completely and uniquely. Another soul hoping for just one more hug or one more conversation with their loved one. And the only way we, and many others get those sweet, precious moments now are in our dreams. So alas, forced to stop and forced to be totally overtaken by the pain and the memories and the longing and the missing. I left weights right away and cried the entire way back to my apartment. That’s all that’s possible to do in these moments because you have already used up all the other energy your body produces for each and every day: waking up and doing the things you’re asked of. Continuing to do the day to day tasks. But every now and then we run out of our energy stores. And every now and then I am going to have to walk out of something because that’s literally the only thing I can do. So here I am in a new situation overseas yet again. The grief follows and it comes out wherever I am. However I’m feeling. Obscenely grateful for how this season is beginning but I also still have these strong feelings of something else. Something missing. And as I ponder the state of all of my friends and teammates around the world in various situations: can you be content in a hard situation? Some of the most difficult seasons in my life have been my professional years abroad. Not speaking the same language as my teammates or coach, always feeling uncomfortable, not performing the way I want to consistently, having a not-so-livable living space, being injured, and the feeling of just being alone. We don’t like being uncomfortable and unfortunately I think the epidemic in our world is to seek perfection all the time. If we’re challenged we usually push back. If it’s hard we resent it. If it’s too easy then it’s a waste of time. We are always searching for the perfect fit. From the apartment to the job to the husband to the pair of jeans. We want it easy. We want it to come naturally. And we want it perfect. But isn’t it in these challenging moments where we expand our boundaries. During those tough seasons is when we learn the most about ourselves. When we learn the most about each other. When we really make decisions about our lives and the way we want to be. What we need in life. What life is all about. And what our priorities are. Would I take my darkest days away? My most painful seasons? If I could wave a magic wand and bring my brother back, obviously. But after that… those days are when I fought tooth and nail to just get out of bed in the morning. Those are the days I persevered through crying before, during, and after practice. Those are the days I was thinking the most unimaginable thoughts, but I made it through. You don’t get that fight from easy. You’re not born a fighter, you’re made into one. 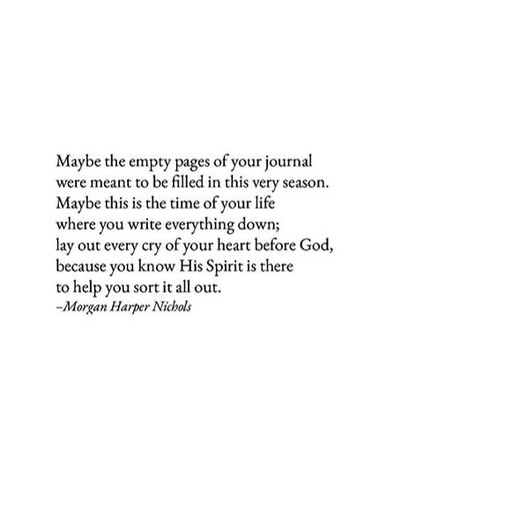 And God has given us these challenges and these seasons for a reason. There’s a purpose to all of this. Would you trade in your darkest days and hardest times if you could? Not the outcome of the events, but the days. Can you recall a time in your life that was so challenging but you learnt a lesson? You were given something valuable? Would you give that all up? So why are we so uncomfortable in the pain? In the grief? In the sadness or anger? Why do we try to resist those feelings so hard when we realize, outside of those feelings, that this is where we adapt and change. This is when we fight. This is when we grow. It’s when we’re challenged to step outside of our comfort zone and put down roots in an unfamiliar place. These are the pivotal moments in our lives we’ll be able to note a change in ourselves when we one day look back. So if you’re struggling through this season, or if something doesn’t seem quite as easy as it should be, I really challenge you to attempt to embrace that. Embrace the messy. Welcome it in with open arms and look at it from a perspective of curiosity not judgement. This perseverance is the process of you becoming. No, it’s not pretty now. And no it’s certainly not fun or easy. But it’s necessary and it’s taking you somewhere. Stop striving for perfection in your days; it doesn’t exist. And even when you think life should be alright but you don’t feel it, that’s okay too. Time to embrace the sad, the angry, the messy, and the challenging. We need to experience all of the emotions in order to fully live and be present. So let’s keep fighting and helping each other through the days.